There’s this amazing story I have been reading and rereading, called The Hunger Games Trilogy, by Suzanne Collins. (Book I is The Hunger Games, Book II is Catching Fire, and Book III is Mockingjay.) To talk about these books, I am going to have to provide a synopsis; I will be as brief as seems workable, and will try not to spoil it for those who haven’t read the entire series. The story takes place in the future, in a totalitarian country called Panem, which is what remains of North America after a calamity which sounds a lot like the worst-case predictions for global climate change. Panem consists of the Capital, a wealthy and decadent city that may have once been Denver, and twelve districts that are very poor, very oppressed, and provide all of the Capital’s needs. At one time, there were thirteen districts, but District 13 was entirely destroyed and left uninhabitable during a rebellion that took place 74 years before the opening of the story. Another consequence of that rebellion is an annual event called the Hunger Games. Two young people, boy and girl, called “tributes” are chosen by lottery in each district, placed in a huge arena — it is miles across, may present any sort of terrain and environment, may or may not contain edible plants and animals, and may also contain deadly hazards — and required to fight to the death, while the entire country is required to watch on TV. The games open with a free for all brawl for the available weapons, survival tools, and supplies that generally reduces the competitors from 24 to about 16. It generally takes about two weeks until a single victor remains. Does this seem unspeakably cruel? Wait, there’s more! The lotteries that select the tributes are called “reapings”. After the reaping, the tributes are whisked away to the Capital, where they are provided with a team of beauticians (the prep team) and a stylist who prepare them for their public appearances. These appearances are very important, and these terrified teenagers must present themselves as very appealing on national TV so that wealthy people may decide to sponsor them and send life-saving gifts when they are in the arena. After the games, the victor is sent on a nationwide victory tour, and must be celebrated in every district, including those whose children the victor has killed on his or her path to victory. The hero (and first-person narrator) of the story is Katniss Everdeen, a sixteen year-old girl from District 12, the poorest district, where the only industry is coal mining. Her father was killed in a mine explosion when Katniss was 11, and her mother sank into a crippling depression. When the family was on the brink of starvation, Katniss received an act of kindness and generosity from a virtual stranger — the baker’s son, Peeta Mellark — which allowed her to see herself and her situation differently. Katniss’s father had possessed the skills, knowledge, and daring to find food for his family and to trade on the black market, by hunting and gathering in the forest surrounding District 12. Daring was required because such activities are strictly forbidden, even going into the forest is forbidden. But, Katniss’s father took advantage of the lazy and corrupt officials of the district to provide for his family, and often took Katniss with him and taught her. 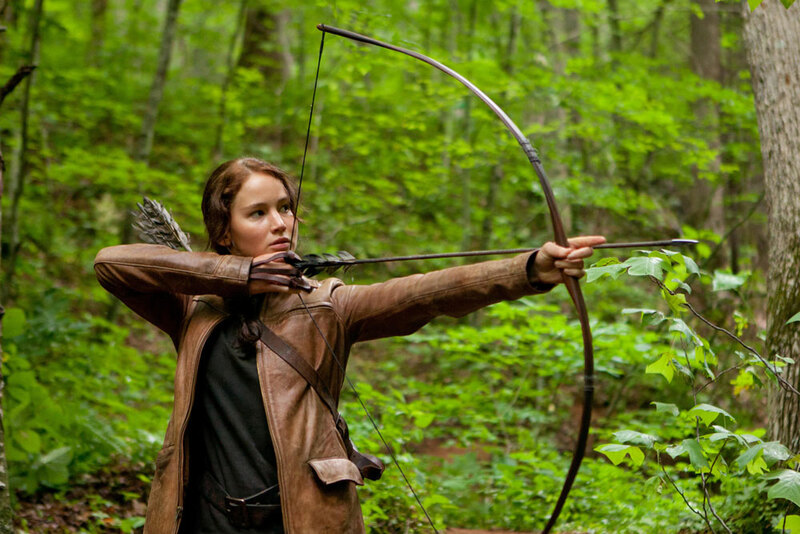 Now, Katniss dons her father’s hunting jacket, goes into the forest, and takes up his hidden bow and arrows. Her disabled mother and beloved younger sister, Primrose, (Prim) are pulled back from the brink of starvation. 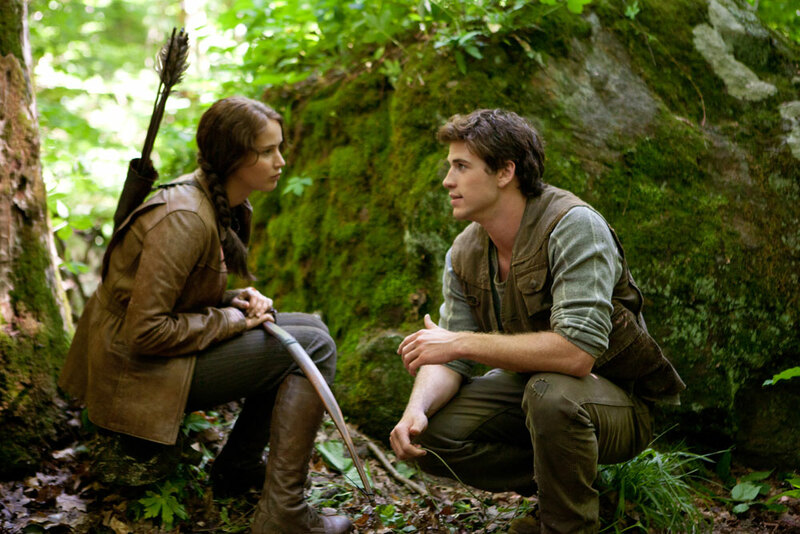 In the forest, Katniss meets a boy, Gale Hawthorne, who is two years older than her. Gale’s father was killed in the same mine accident that killed Katniss’s father, and Gale, a skilled trapper, is supporting his family in the forest. They team up, share their knowledge and skills, and become friends. Soon they are known in the black market and at the back doors of the more prosperous merchants as a reliable source of fresh meat and other treats from the forest, like strawberries. Although Katniss and Gale are close friends and companions through five years of adolescence, and spend countless hours together with absolute privacy, nothing overt ever happens between them. Unlikely? You bet. But, Katniss, still suffering frequent nightmares from the death of her father, mourning his loss and the loss of her childhood, has decided she will never lose again; she will never marry, never raise a child to face annual reapings and be lost to the Hunger Games. She will love no one but her sister, Prim, who she cannot help but love. At sixteen, she has already lost or ceded everything to the oppression, deprivation, and violence of Panem; she will not love. As Katniss says of herself much later, I know how to be hungry. This entry was posted in Books & Poems, Something I Read and tagged books, children, friendship, Katniss Everdeen, kids, love, movies, story, The Hunger Games, violence. Bookmark the permalink.